North Korean state media announced its latest rocket-engine test on Sunday, saying it would help North Korea achieve world-class satellite-launch capability, indicating a new type of rocket engine for an intercontinental ballistic missile (ICBM). The test showed “meaningful” progress, a spokesman for South Korea’s Defence Ministry said on Monday, with the firing of a main engine and four auxiliary engines as part of the development of a new rocket booster. The announcement of the test came as U.S. Secretary of State Rex Tillerson was in Beijing at the end of his first visit to Asia for talks dominated by concern about North Korea’s nuclear and missile programs , reports Reuters. “Through this test, it is found that engine function has made meaningful progress but further analysis is needed for exact thrust and possible uses,” Lee Jin-woo, the spokesman for the South Korean defense ministry, told a briefing. North Korea’s state media released pictures of the high-thrust engine test overseen by leader Kim Jong Un, and reported him hailing it as “a new birth” of its rocket industry. 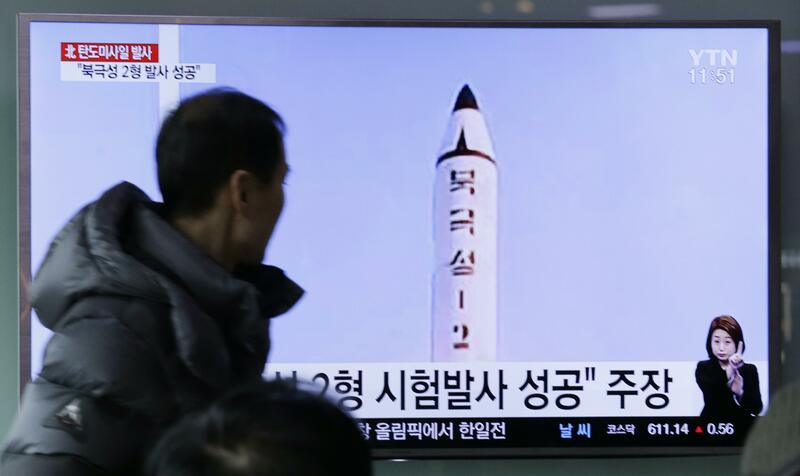 A South Korean expert on rocket engineering said the test was ominous. “This was a comprehensive test for the first-stage rocket for an ICBM, and that is why it was dangerous,” Kim Dong-yub of the Institute for Far Eastern Studies in Seoul told Reuters.